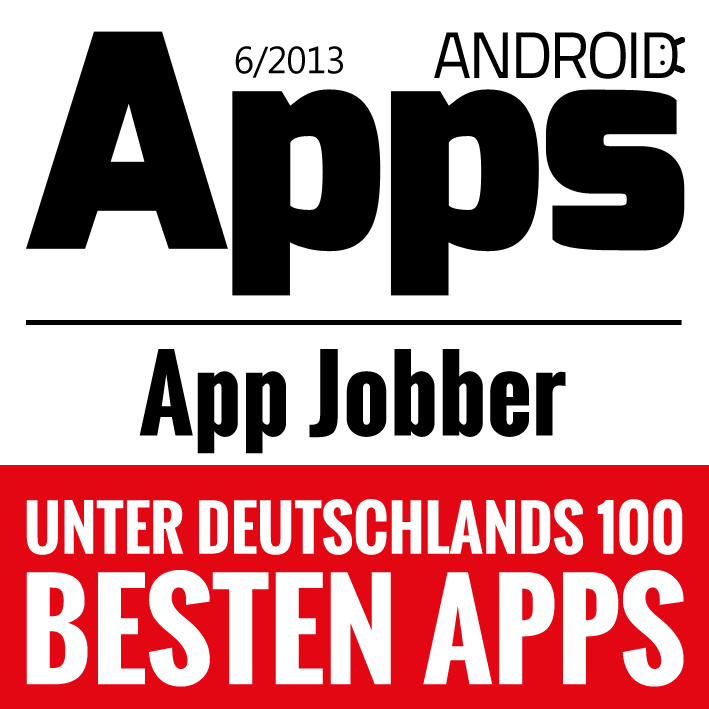 “With the huge range in the Play-Store it is difficult to find applications laid-out for Germany. 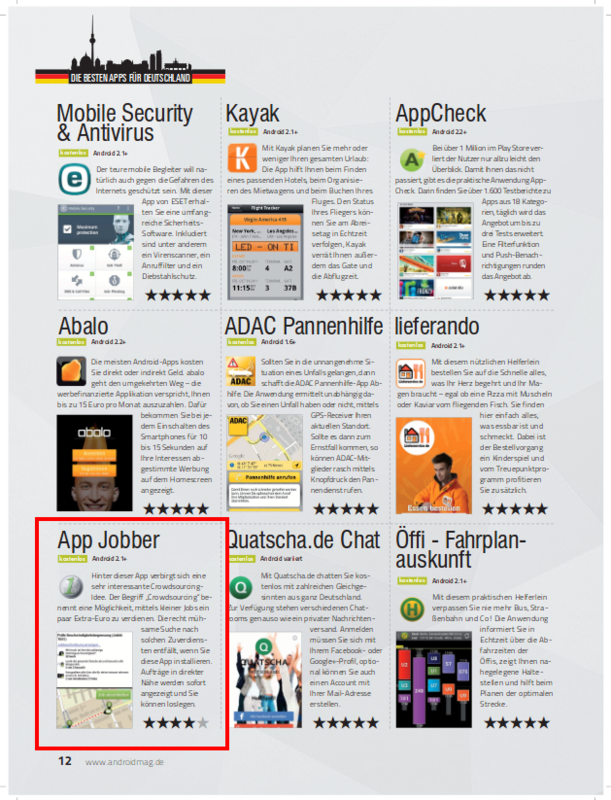 Yet they do exist, the German app-pearls” this is how the Magazine Android Apps explains their choice of the 100 best apps for Germany, and the AppJobber is one of them! In the current autumn-edition of the magazine our app was presented as a very interesting crowdsourcing idea and was chosen amongst the 100 best. We are very excited to have proven ourselves once again.